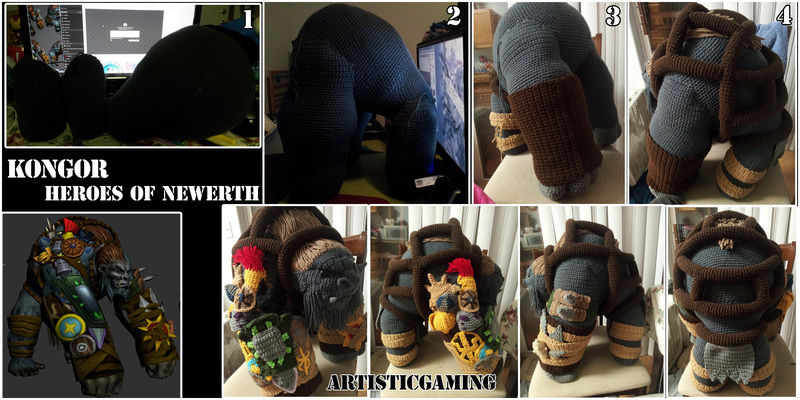 Kongor.. is by far… the biggest doll I have ever done. I think I went through 4 skeins of grey for the body.. 2 skeins for the brown.. and I even made a mistake midway through the body and had to unravel 90% of it to start over. It was a challenge to be sure.